"First Class Band is outstanding! We will have you again for our next celebration for sure! I'm lucky to have had this band at my daughter's wedding." Follow us on twitter.Check out our videos on YouTube.Like us on Facebook. 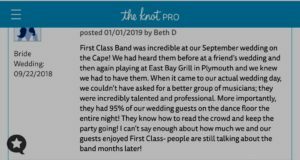 Welcome to the website of Boston wedding band First Class Band and Concetta! The Official Band of KISS108FM Events. We’re excited you’re here! Congratulations on your Engagement!” Isn’t love grand?! We love weddings and First Class Band and Concetta will do everything in its power to ensure your wedding day is perfect. Concetta’s experience as an MC is impeccable. No other wedding singer in Boston can boast performing on stage with Michael Buble and David (The Hit Man) Foster, 2 movie soundtracks, and countless Boston and national TV & Radio commercials. Concetta is the familiar voice you hear on TV and on your car radio singing dozens of commercials across the country. 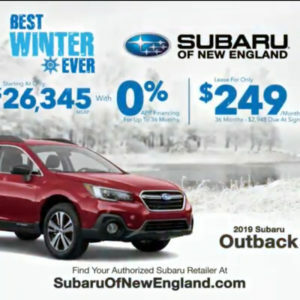 Click to view her 2019 New England Subaru “Best Winter Ever” TV commercial below. (Listen to a few samples on MEET CONCETTA page)! 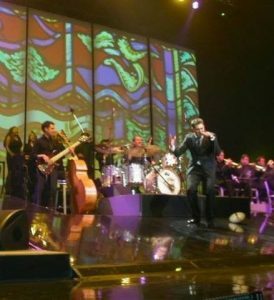 Even see a picture of Concetta performing live onstage with MICHAEL BUBLE and a video of Concetta singing with David (The Hit Man) Foster, the National Anthem at Fenway Park and more! 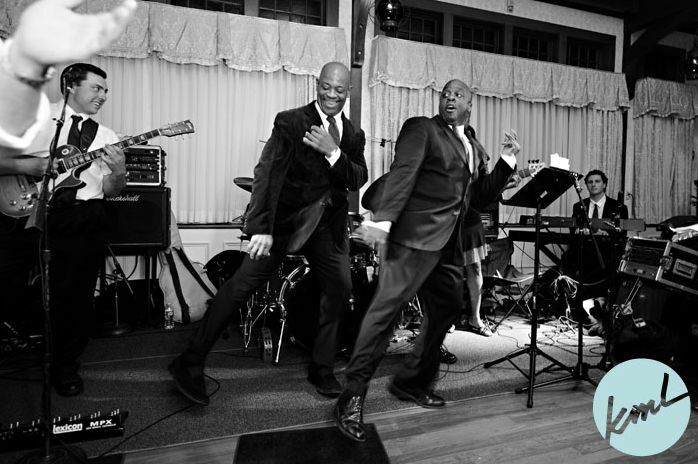 Brides especially love First Class Band and Concetta because we keep the dance floor packed. Additionally, Concetta works with brides directly as their personal entertainment concierge and Master of Ceremonies on every intricate detail of their itinerary so there are “no surprises”. 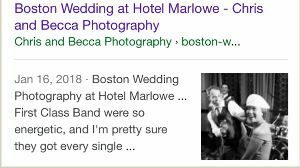 Boston wedding photographers love us because we “get the party started” making for great photos you’ll cherish for many years to come! Wedding planners and wedding venues love us because we’re easy to work with. 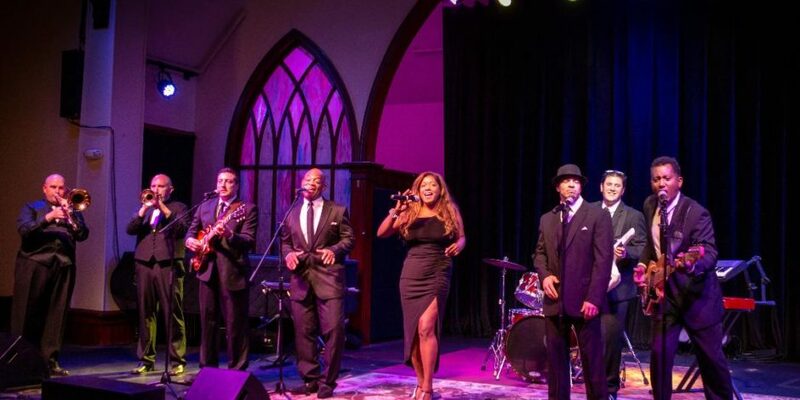 Whether it’s a wedding, corporate event or private party First Class Band and Concetta always brings their “A” game. We are a professional music entertainment service that pays extraordinary attention to detail. 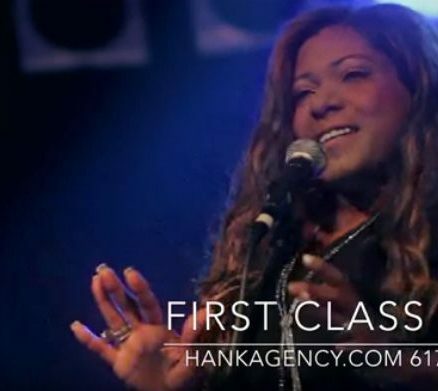 When nothing less than the best is absolutely necessary, select First Class Band and Concetta. We rock Boston! FCB and Concetta is an amazing wedding band. 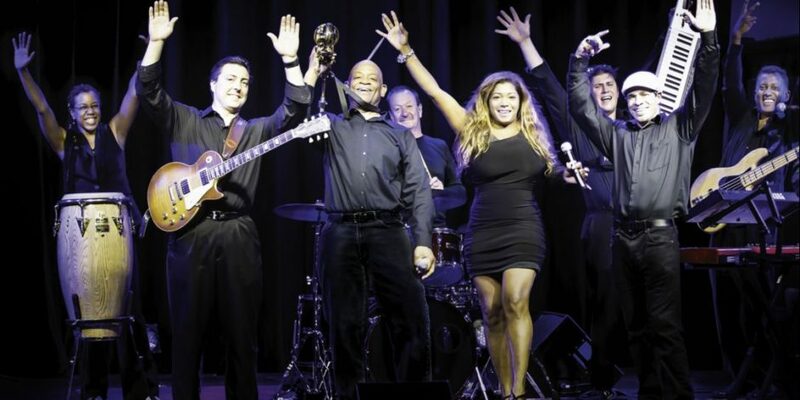 FCB is also a “first class” Events and rocking Corporate party band! 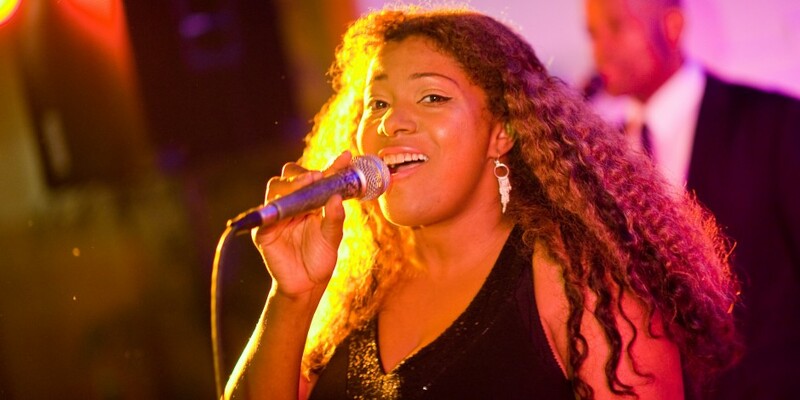 Recently First Class Band performed for the Boys and Girls Club of Dorchester at Fairmont Copley Plaza, and the Boston Police Foundation with Big Papi and Latoyia Edwards of NECN at Boston Marriott Copley Place. FCB and Concetta has also performed at Taj Boston and the State Room, Seaport Boston Hotel and other amazing Boston wedding venues! 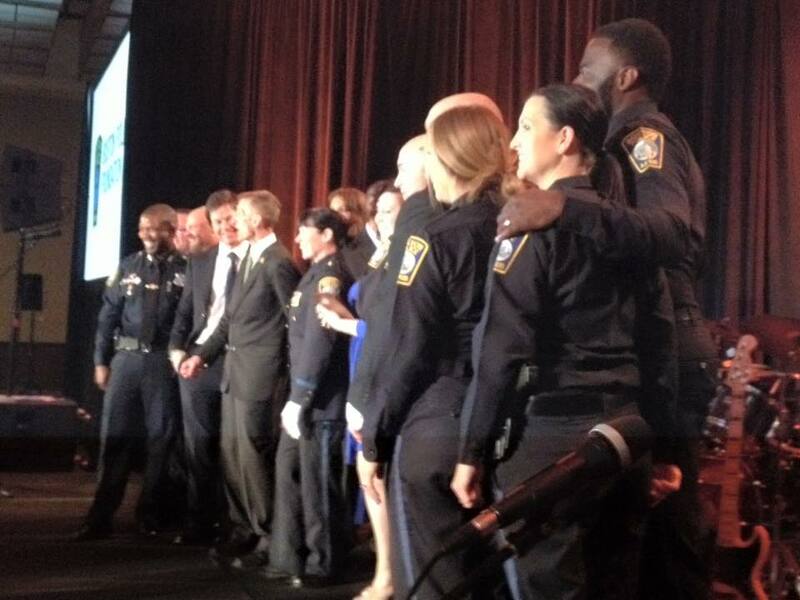 Recently FCB performed for Mohegan Sun Casino, The Boston Police Department Foundation Gala (with attendees, Mark Wahlberg, Tom Brady and Red Sox). 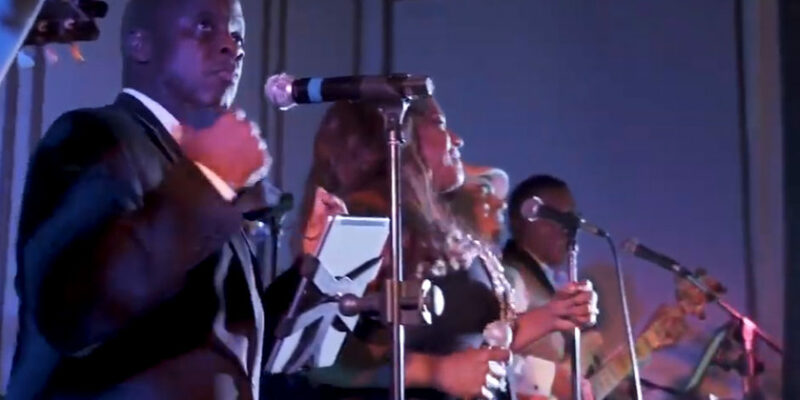 First Class Band recently shared the stage with ”ALL FOR ONE” of the hits ”I Can Love You like That” and ”I Swear” and R&B legends ”THE TEMPTATIONS” ! 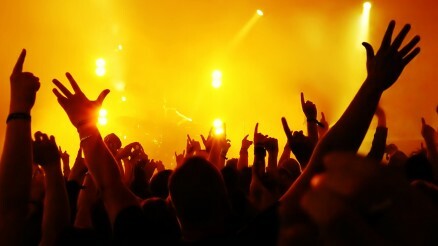 Amazing Lead Vocalists who get the crowd going wild! 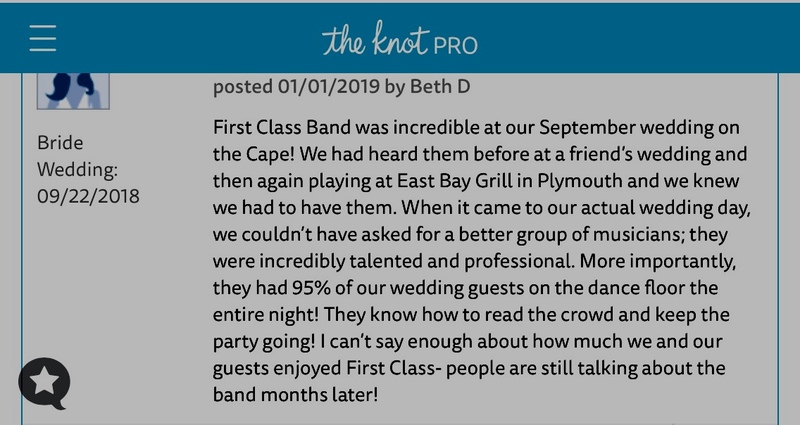 We are a Boston area wedding band but “We’ll go wherever love takes us!” Cape Cod, New Hampshire, Newport RI, Connecticut, New York. We’ve been flown all over the country. 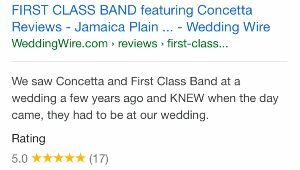 – We believe First Class Band and Concetta is YOUR band. Check out our reviews.